Here at Barnton Community Nursery and Primary School we consider Geography to be a rich and diverse subject that gives children the opportunity to learn about a range of places, people, resources and environments. It inspires a curiosity and fascination about the world from an early age, which we hope will remain with each child for the rest of their lives. 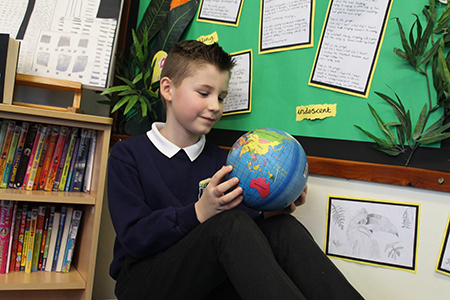 Throughout the Geography curriculum here at Barnton, children will learn the Earth’s key physical and human processes. Developing the children’s geography skills and knowledge, allows them to interact more effectively with both their local and wider communities. They are provided with opportunities to research, compare and contrast their surroundings with other places both locally as well as globally. All of our pupils have access to a varied Geography curriculum that allows continuous development of key skills and geographical knowledge and enquiry throughout their time at primary school.